The M3 Rock Festival celebrated its tenth year anniversary on May 4 and 5, 2018, and once again put on a great festival. For the ninth straight year, Dave Dillman (via D-Toxin Productions) presented the M-Pre Party (this time on May 3, 2018), which for many M3 Rock Festival attendees is the premiere event leading up to the festival and which sold out once again this year. For the third straight year, Brad Lee (via Brad Lee Entertainment) brought Sleazy Slimey Sunday (this time on May 6, 2018), which is the only after M3 event, and which has continued to grow in terms of attendance and prominent artists. Three Sleaze Roxx contributors — IT guru Ed DeGagne, photographer Christopher Carroll (of Christopher Carroll Rock Photography) and myself as the website editor — attended some to all of those events. Whether artists want to acknowledge it or not, their performances are all compared to one another in events such as the M3 Rock Festival. 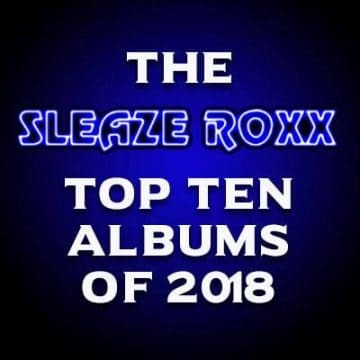 Sleaze Roxx provides you its rankings from first to last for each event and overall. 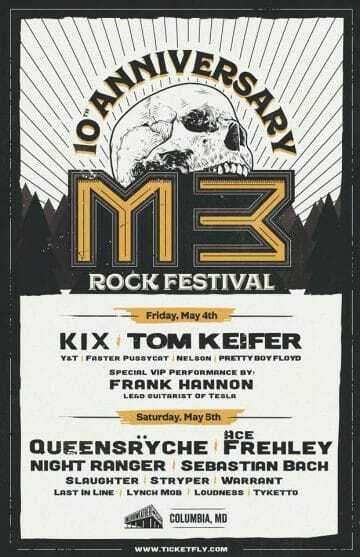 Of note, Christopher and Ed both missed VIP performer Frank Hannon on Day One of the M3 Rock Festival so we omitted Hannon from that event’s rankings. In terms of how the scoring works for events witnessed by more than one Sleaze Roxx contributor, a first place finish translates to one point, a second place finish results in two points, and so forth. The less points that an artist receives, the higher they will finish in the rankings. If artists end up with the same amount of points (such as for example, Denman, Kickin Valentina and L.A. Guns all finishing with eight points at the Sleazy Slimey Sunday 3 event), whichever artist had the single highest finish by one voter will finish higher over the others. For example, I voted Denman as the #1 performer for Sleazy Slimey Sunday 3 so they ended up finishing ahead of Kickin Valentina and L.A. Guns who did not score a #1 finish from Ed. While it’s regrettable that some performers have to finish last when ranked according to the other artists, the reality is that all (or almost all) of the artists seemingly gave everything they had and even a last place finish in one event does not mean that the artist’s performance was not a good one. 01. 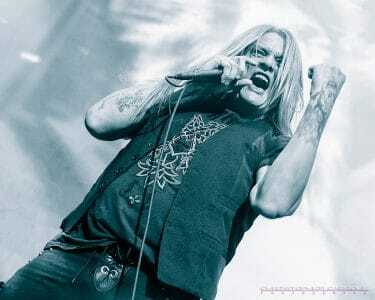 Sebastian Bach (M3 Day Two) –Ex-Skid Row frontman puts it all together in dominating exhilarating performance. 02. Last In Line (M3 Day Two) — Ronnie James Dio would be proud of Last In Line’s very impressive M3 debut. 03. Denman (SSS 3) — Young upstarts show that rock n’ roll is alive and well with talent and great songs. 04. Wildstreet (M-Pre Party) — Tons of energy and catchy song choruses prove too much to resist. 05. 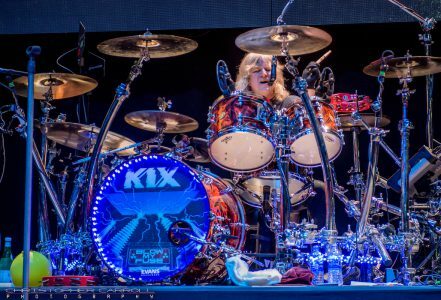 Kix (M3 Day One) — Kix deliver the goods once again to the Maryland faithful. Shouldn’t Kix headline Day Two? 06. Babylon A.D. (SSS 3) — Veteran hard rockers make successful return to Maryland after more than 25 year absence. 07. Stryper (M3 Day Two) — Christian rockers make the most of it despite Lynch Mob taking some of their set time. 08. Shokker (M-Pre Party) — Lots of energy, great musicianship and perhaps best female voice provides awesome start. 09. Night Ranger (M3 Day Two) — Veteran rockers prove that they could have headlined 10th year anniversary edition. 10. 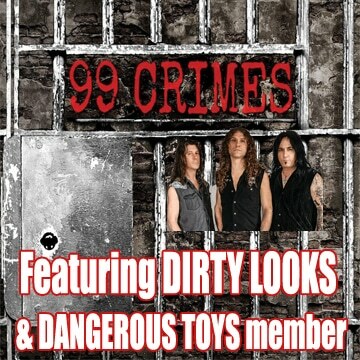 Kickin Valentina (SSS 3) — Sleazy rock at its best with Atlanta rockers showing they belong with the big boys. 11. L.A. Guns (SSS 3) — Very late start for veteran rockers who always seem to deliver live irrespective of line-up. 12. 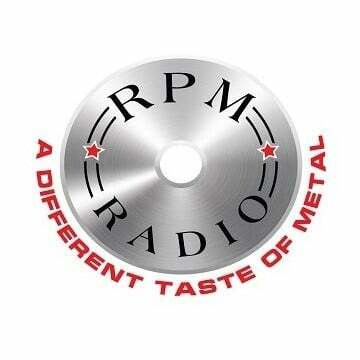 Ted Poley (SSS 3) — Poley pulls out surprise of the evening with Tyketto singer Danny Vaughn’s guest appearance. 13. 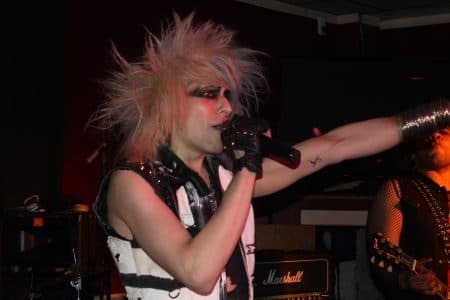 Pretty Boy Floyd (M3 Day One) — Glam metal rockers deliver as usual strong set to open M3 festivities. 14. Babylon Shakes (M-Pre Party) — Retro ’70s rockers impress on only third live gig together. 15. Tyketto (M3 Day Two) — Early morning start doesn’t stop Tyketto from delivering strong opening set to Day Two. 16. Queensrÿche (M3 Day Two) — Seattle rockers don’t quite take full advantage of headline slot and extra time. 17. Great White (M3 Day Two) — Solid first appearance at M3 in six years with absence from Jack Russell’s Great White. 18. Nelson (M3 Day One) — Twin brothers provide touching performance with song dedicated to deceased mother. 19. Lynch Mob (M3 Day Two) — Robert Mason back fronting Lynch Mob who are oblivious to when their set should end. 21. Junkyard (SSS 3) — Veteran punk rockers provide pedal to the metal set with little interaction with audience. 22. Station (M-Pre Party) — Station return to headline and play M-Pre Party for sixth time in seven years. 23. Faster Pussycat (M3 Day One) — Singer Taime Downe back fronting veteran sleaze rockers after last year’s absence. 24. While Trash Stars (M-Pre Party) — Philly rockers borrow heavily from Mötley Crūe with energetic set. 25. Ace Frehley (M3 Day Two) — Space Ace’s M3 debut is arguably the biggest disappointment despite many KISS tunes. 26. Mad Margritt (M-Pre Party) — Georgia rockers elect to include guitar solo and AC/DC cover despite six albums. 27. Tom Keifer (M3 Day One) — Playing after Kix turns out to be monumental task for Cinderella frontman’s solo band. 28. Y&T (M3 Day One) — Frontman Dave Mekinetti reminds crowd that he’s surprisingly only living Y&T original member. 29. Old School (SSS 3) — Premier ’80s cover band kicks things off at Sleazy Slimey Sunday 3 with lots of enthusiasm. 30. Slaughter (M3 Day Two) — Slaughter disappoint with too many jams and despite drummer Zoltan Charney’s antics. 31. 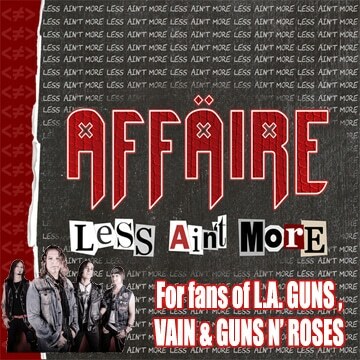 Warrant (M3 Day Two) — Plugged in set from hair metal veterans would have been better than special acoustic set. 32. Every Mother’s Nightmare (SSS 3) — Memphis, Tennessee rockers play to big crowd at Sleazy Slimey Sunday 3. 33. Frank Hannon (M3 Day One) — Acoustic set full of cover songs starts M3 Rock Festival on a bit of a whimper.